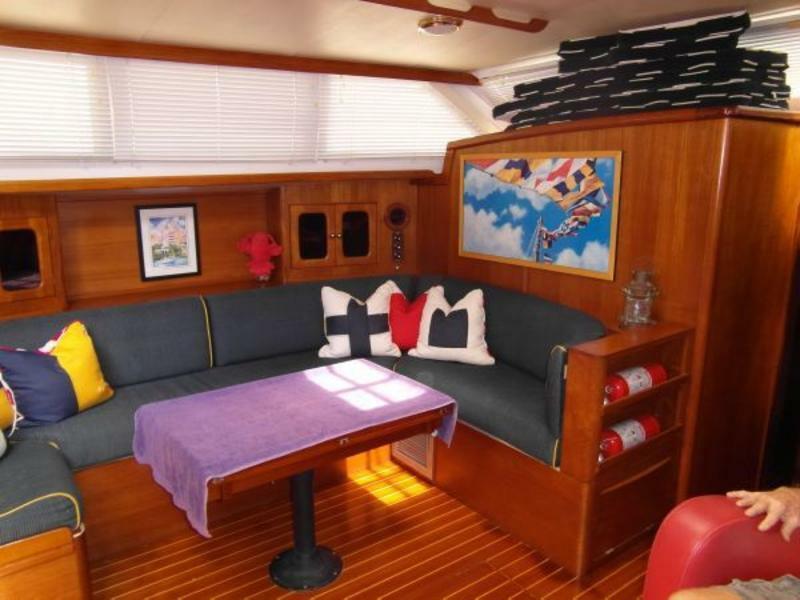 From the enclosed center cockpit thru the hatch take 7 steps down to the main salon with L-shaped seating to port that seats 8-10 comfortably and foldout dining table. 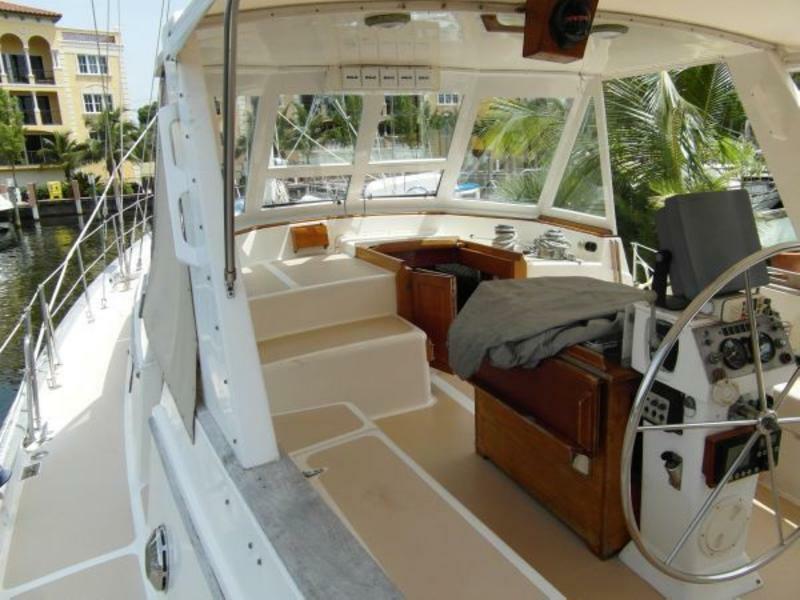 There is a leather recliner opposite with a bar area, TV, and navigation station. 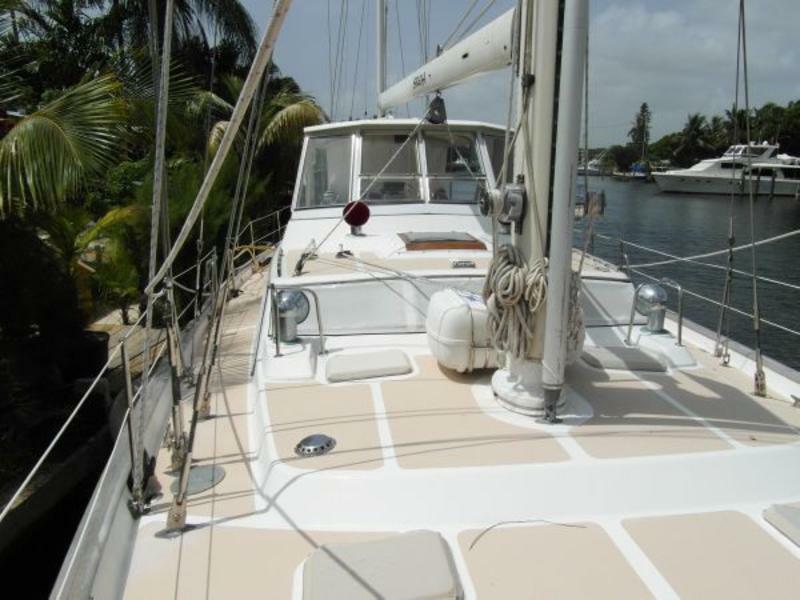 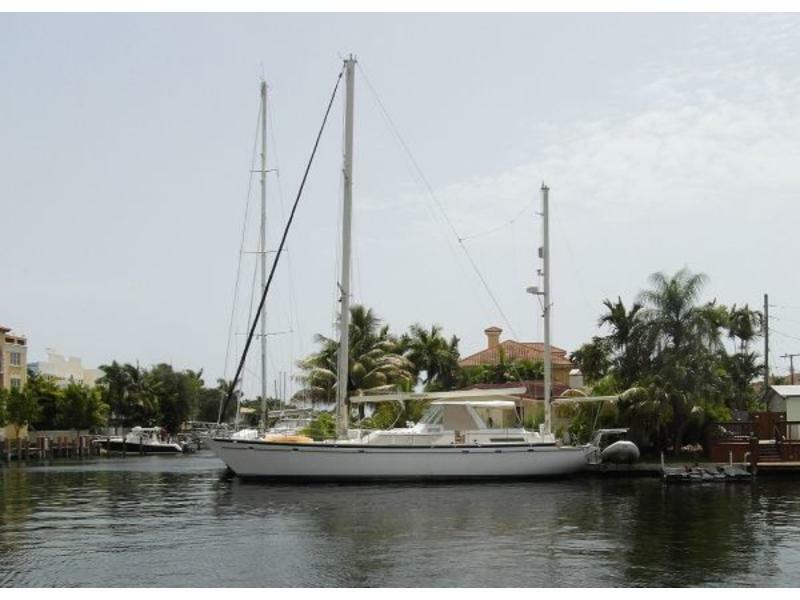 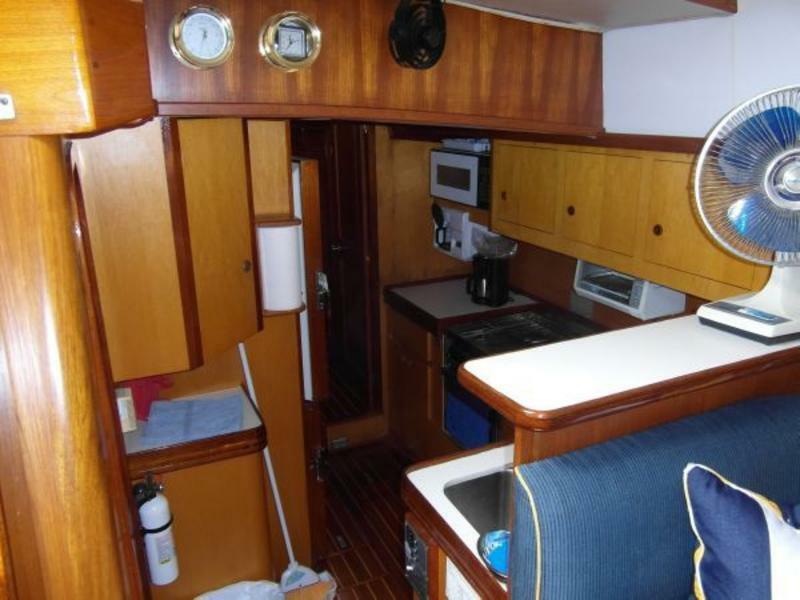 Moving forward from the salon take two steps down to the starboard side galley which offers custom refrigerator and freezer, 3-burner stove/oven, twin stainless steel sinks, hot & cold water pressure system, spacemaker microwave, U-Line icemaker, and coffeemaker. 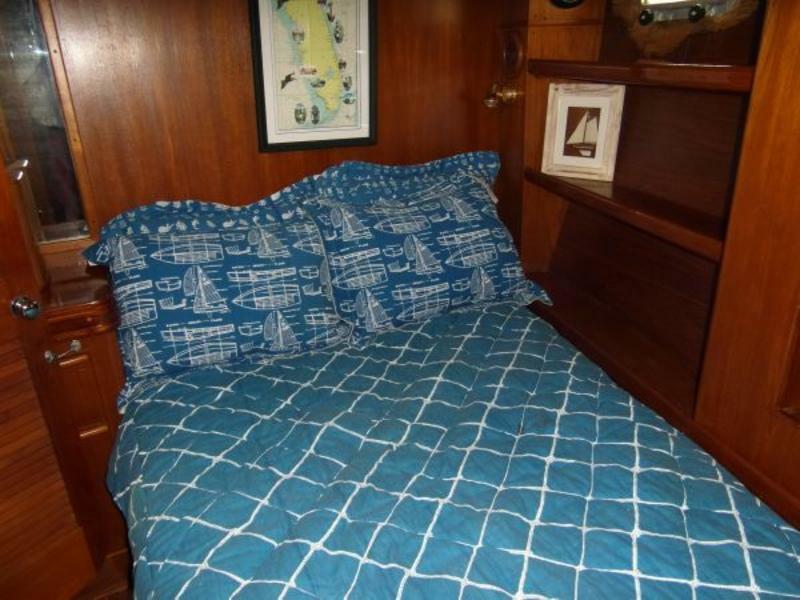 From the galley moving forward take two steps down to the amidships portside guest cabin with double berth. 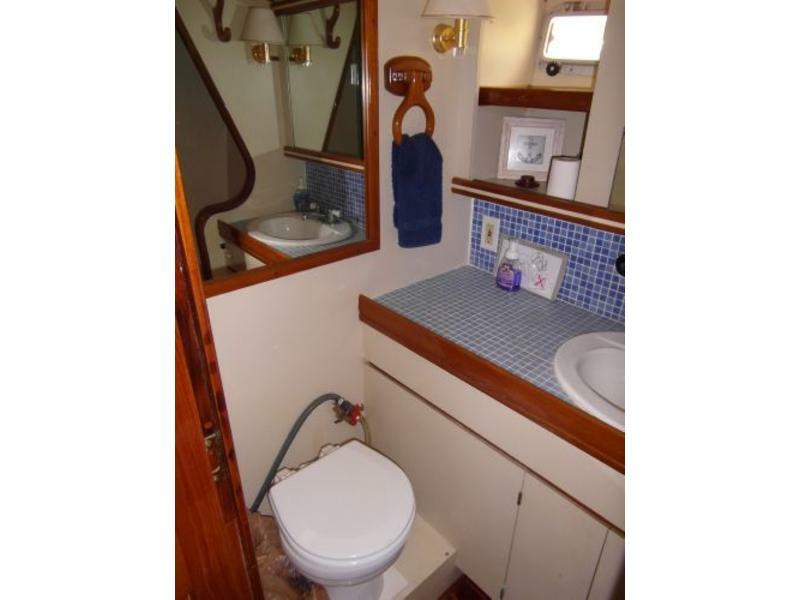 Just opposite this guest cabin is a large head with vanity and separate stall shower. 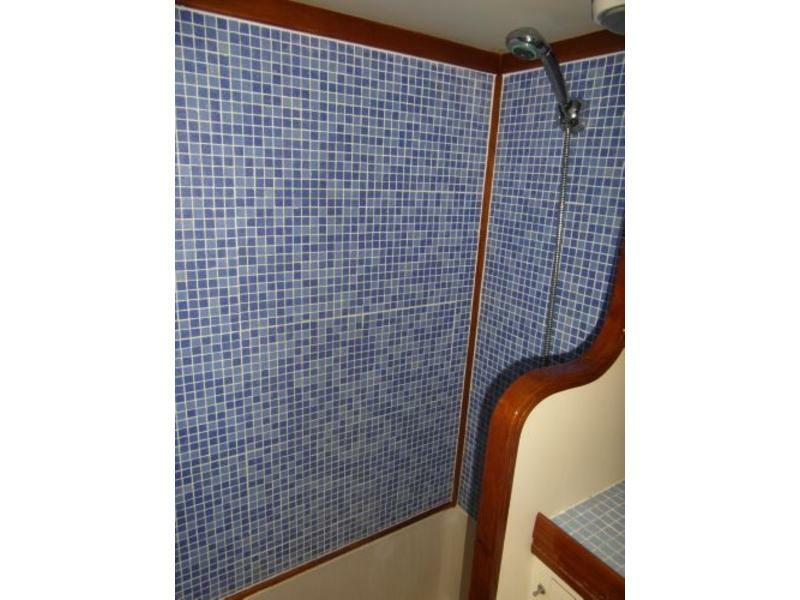 Continuing forward there is a portside guest cabin with upper and lower berths as well as a starboard guest cabin with upper and lower berths. 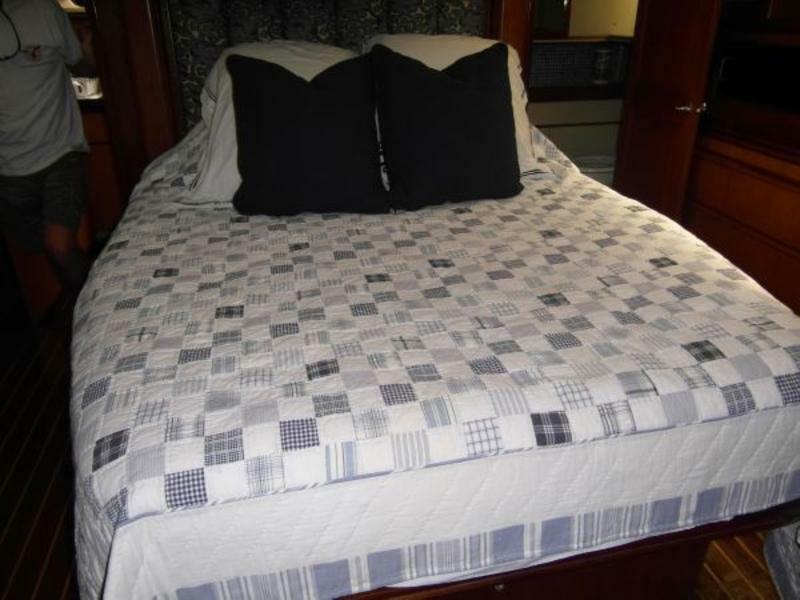 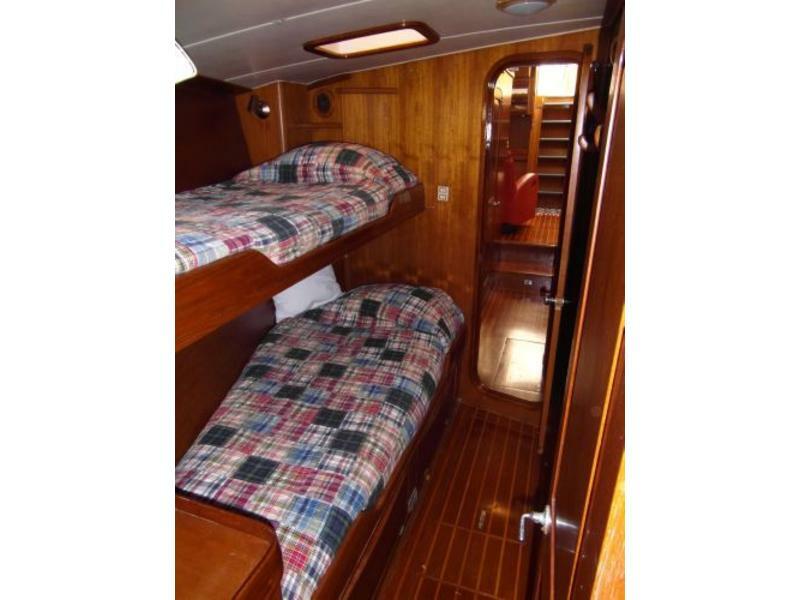 Both cabins are roomy and each berth is adult size. 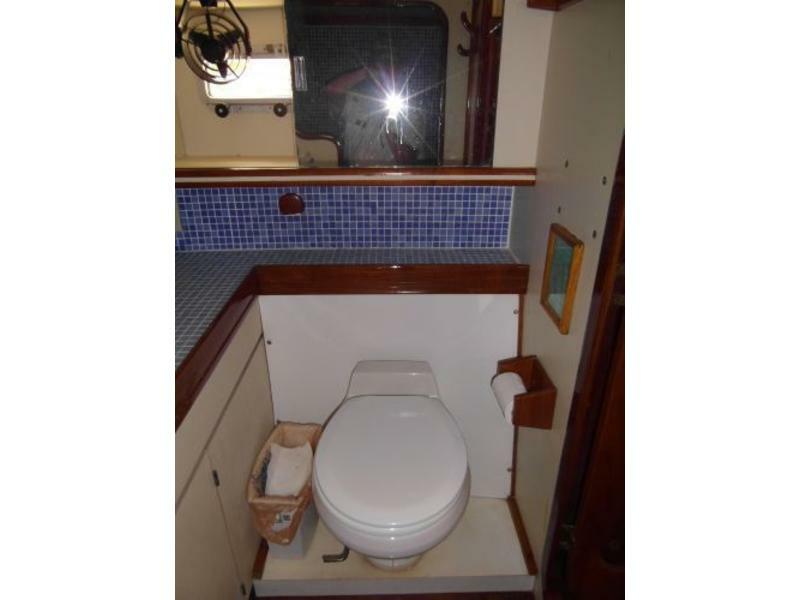 Moving forward there is a large head with vanity and an extra large separate stall shower. 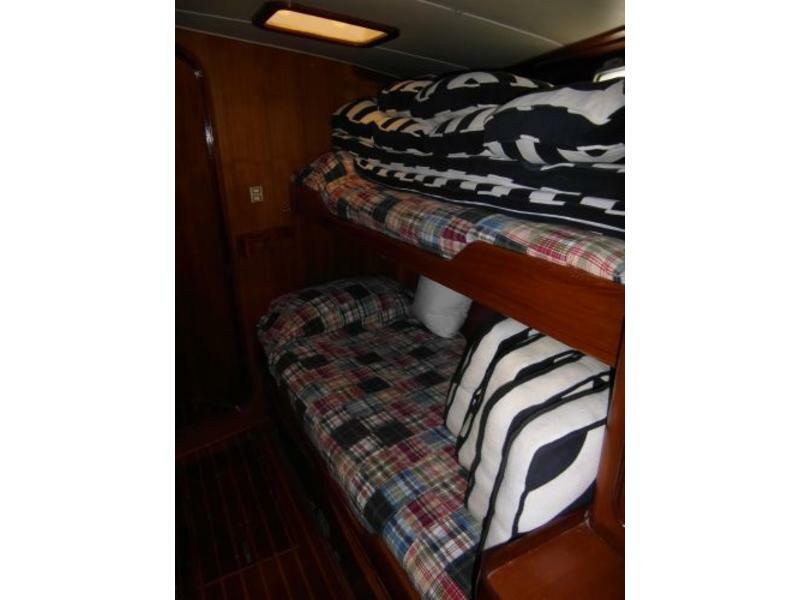 Moving aft from the main salon take one step up to enter the starboard side of the master stateroom with a centerline queen berth. 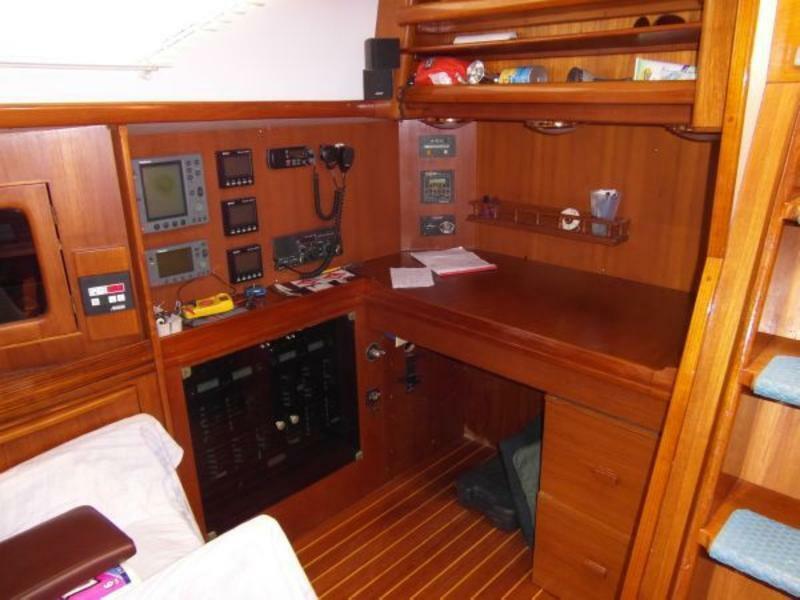 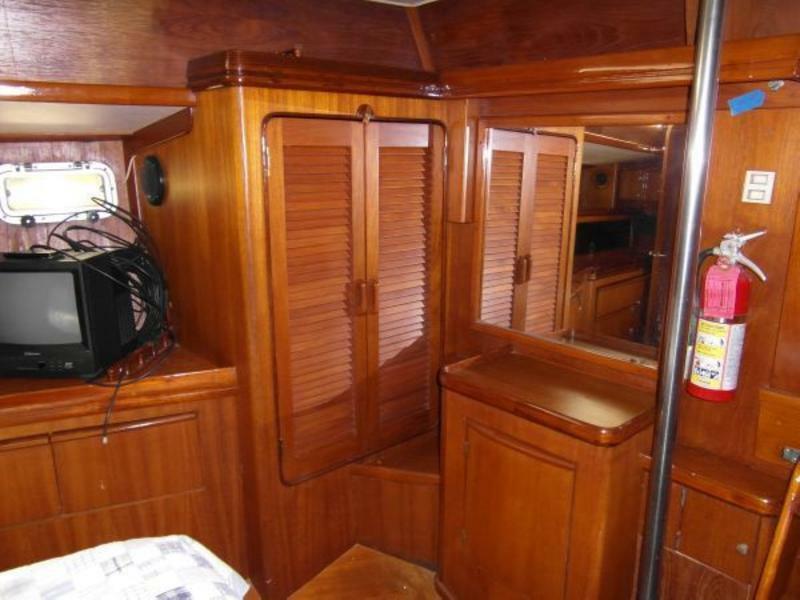 This stateroom is spacious with beautiful teak cabinets, polished teak fllooring, and plenty of storage space. 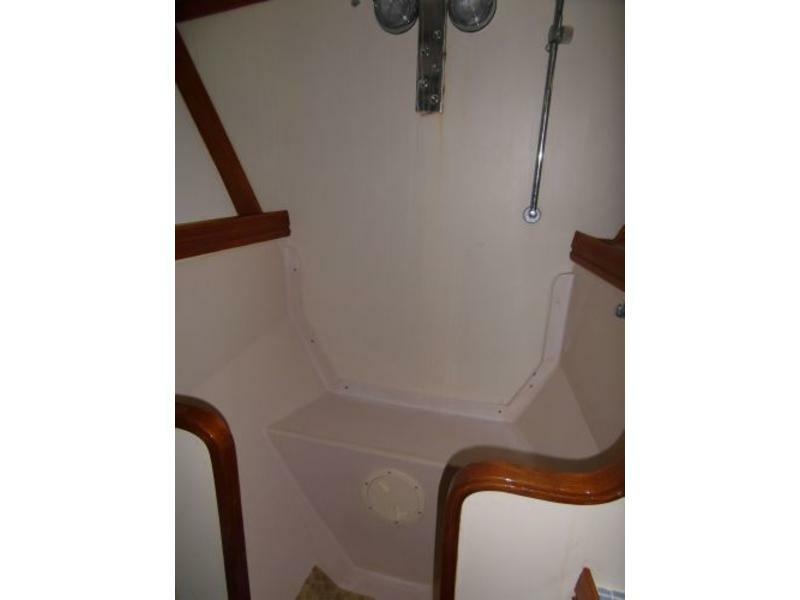 From the port side of the cabin moving forward you enter a large head with a vanity and extra large separate stall shower and sunken bathtub.